Robbies Double Decker Travel Ltd operates in Auckland and Waiheke Island organising wine tours, events and transfers especially for weddings. 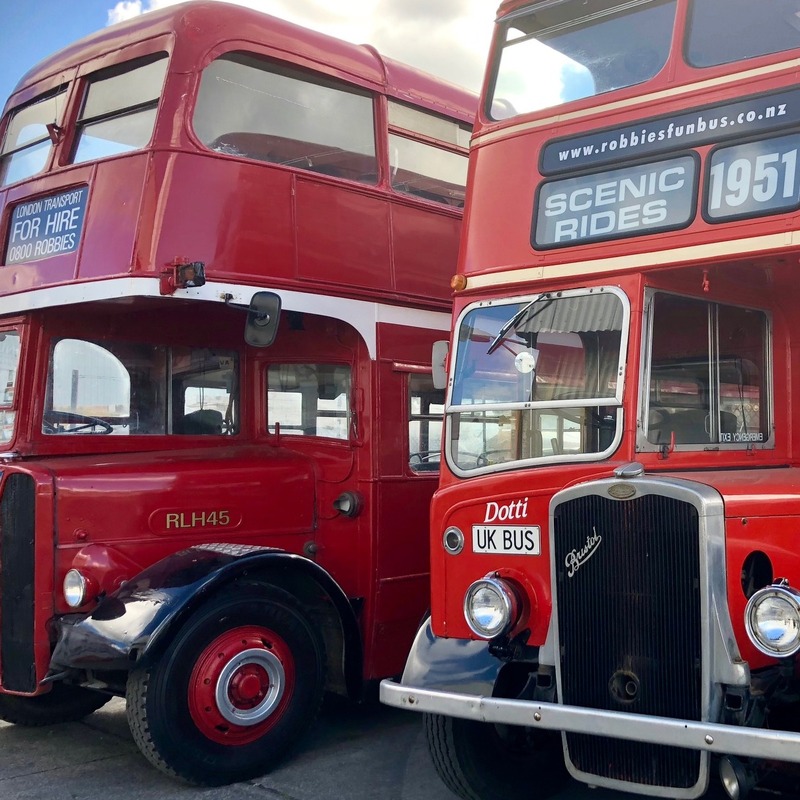 Robbies has the largest fleet of unique double decker buses in New Zealand - both vintage and modern. Established in 1989 Robbies is owner operated. Call them today!